Hulkaggeddon starts this weekend, so you know I started looking at the KB trying to figure out how to keep OUCH off the red side of it. What are you guys doing for Hulkaggeddon this year? couldnt we fleetup in stealthies somewhere next to a bait hulk ?? 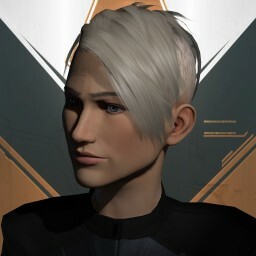 Well, Miss Teri is definitely making sure that there's a record of lost Tornadoes in Jita. I'll keep that in mind this winter when Sabre hulls are going for 50 mil a pop. Man, I wish sabres were 50 mil a pop. I don't want to even look. Awesome... Ship prices have doubled since I last bought anything. I want to kill one of these. Well, we've had some success, but targets became very thin very quickly in our neck of the woods so we got a bit bored. BWHAHHAHAHA THE END IS NIGH!!!!! THE HULK IN NO MORE! bwahahahaha....*cough* sorry hairball. We made it through the Month of Hulkageddon without losing any Hulks. Great job everyone.